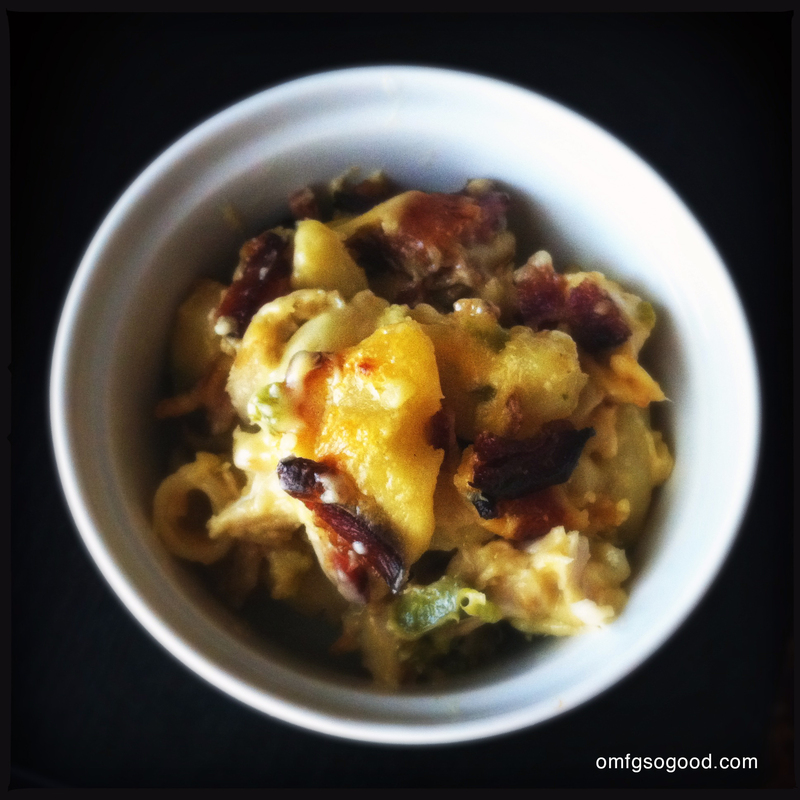 smoked jalapeño chicken bacon mac n’ cheese | omfg. so good. 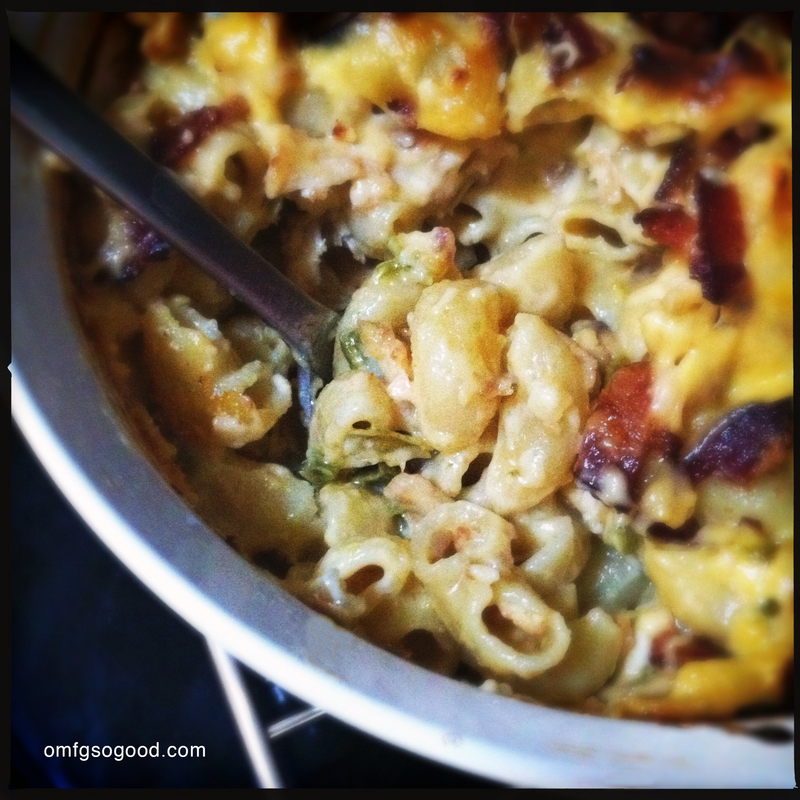 What goes good with mac n’ cheese? How about bacon? 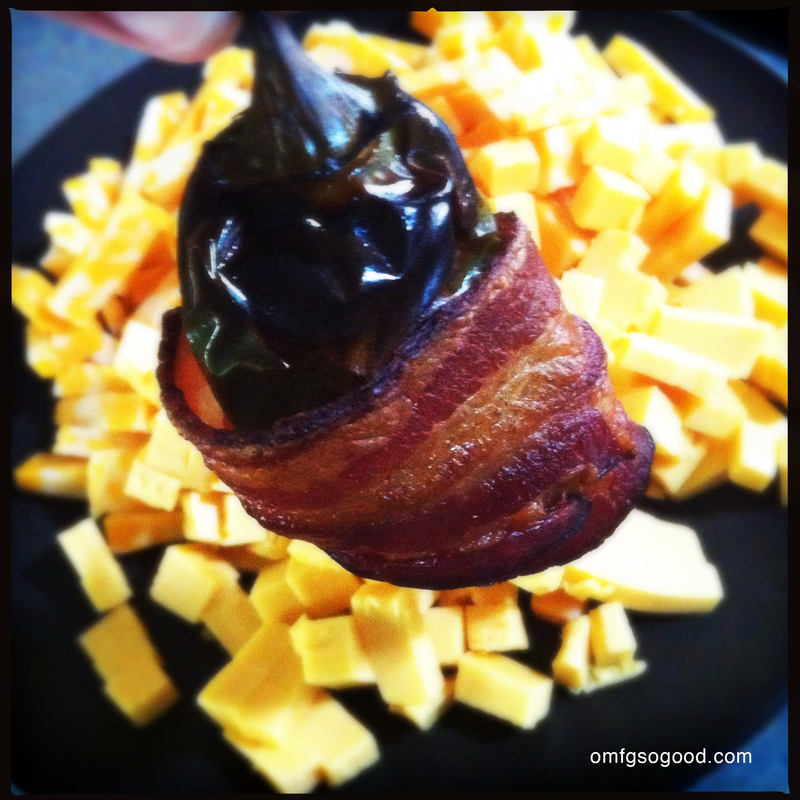 Wrapped around a jalapeño? Smoked? 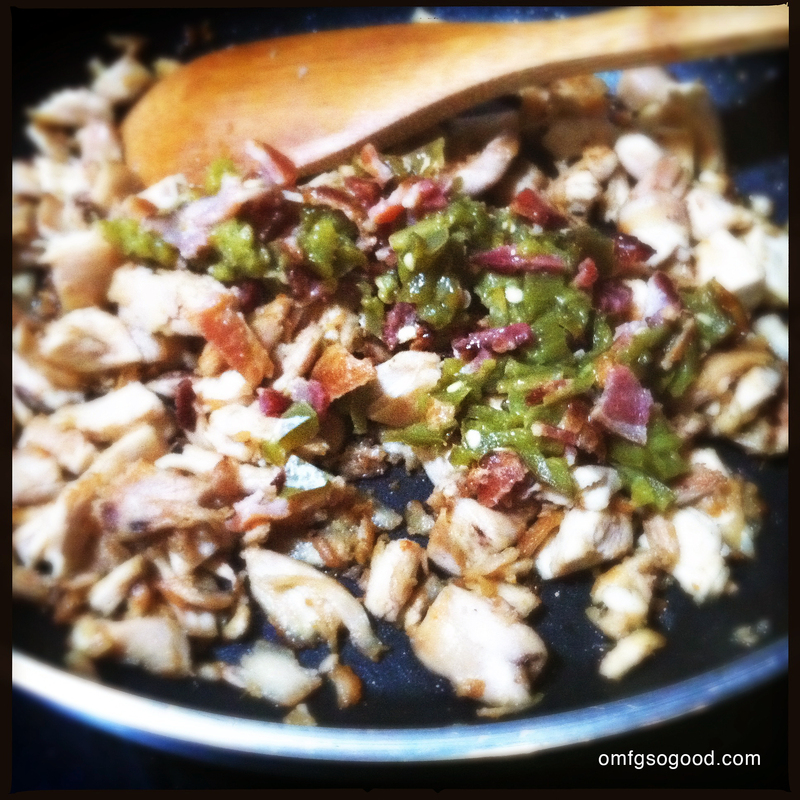 Then sauteed with pulled roasted chicken? Weekends are feasting days at our house. And every once in a while, Baby Daddy joins in the feastivities by smoking up some meat products in our grill top smoker. Which, btw, was one of the best food related $45 we’ve spent to date. It was a good feasting day, indeed. 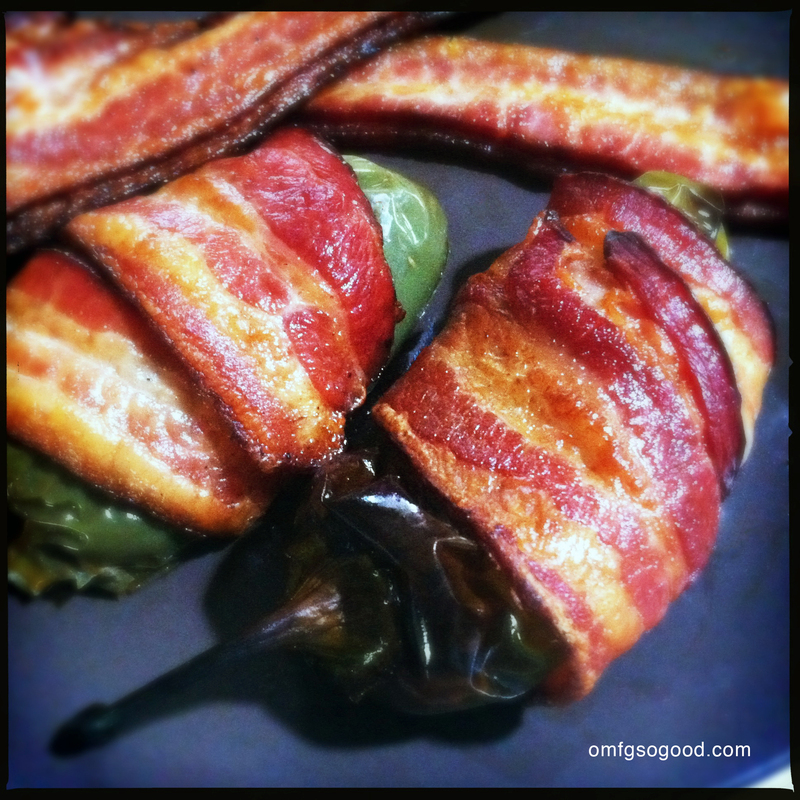 Dice the bacon wrapped jalapeño (remove the seeds if you’re into a mellow heat) and set aside. Use kitchen shears to cut the rest of the cooked bacon into small pieces and set aside in a separate pile. In a medium saute pan, melt the 2 tbsp butter and cook the minced garlic for just a few minutes then add the pulled chicken and saute for 5 – 10 minutes. 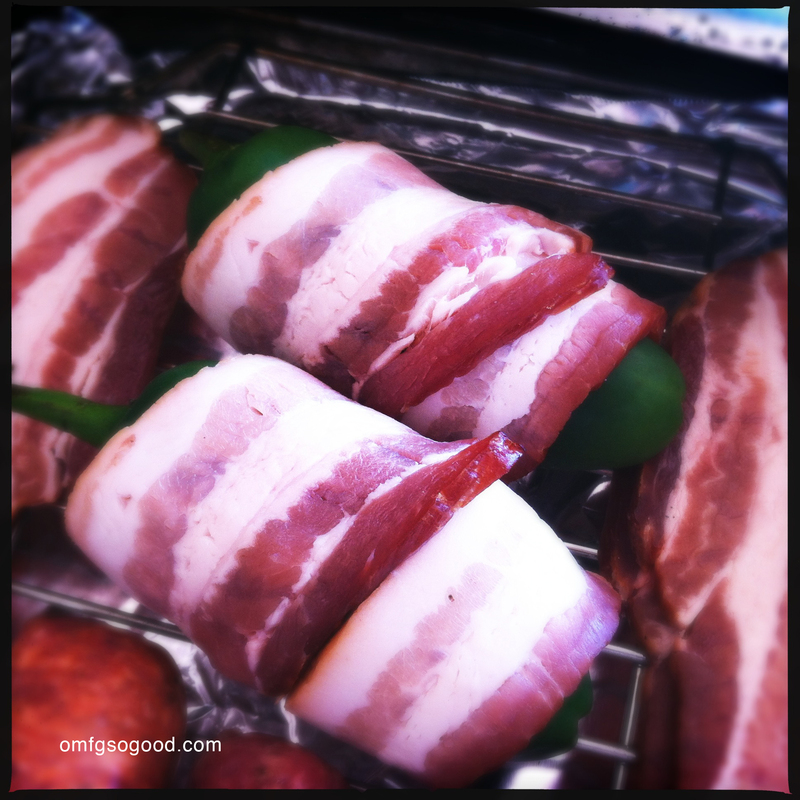 Add the diced bacon wrapped jalapeño to the pan with the chicken and saute for an additional 2 – 3 minutes to marry the flavors. In a medium saucepan, boil the pasta according to package directions to al dente. Drain the pasta and pour into a casserole dish. Top the cooked pasta with the chicken/jalapeño/bacon mixture, gently stir to combine and set aside while you make the cheese sauce. In the same saucepan the pasta was cooked in, melt the 4 tbsp butter then add the flour. Whisk until bubbly and slightly translucent. Add in the milk and whisk continuously until thickened. Slowly add in the cheeses and whisk until completely melted and creamy. Pour the cheese sauce over the pasta mix and gently stir to coat. Top with the remaining bacon pieces and bake, uncovered, in a preheated 350 degree oven for 20 – 25 minutes. Be prepared. 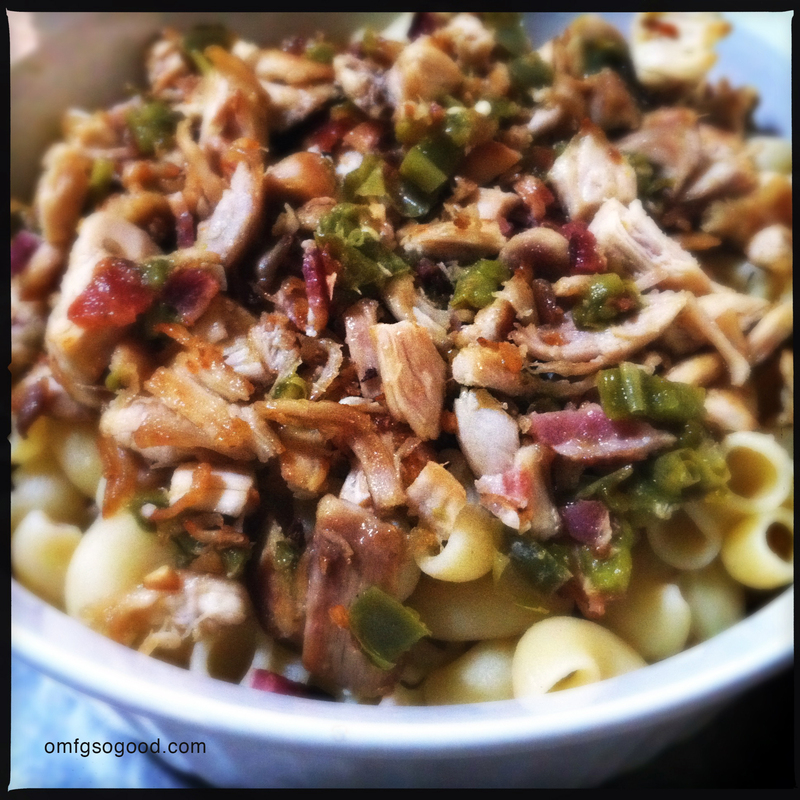 The kick of the jalapeños, combined with the salty cured flavor of the bacon, savory chicken and creamy cheesy mac is a magical combination. Alakazam. Serious. Food. Magic. Check out the blog on Monday. I think you’ll find the post to be profanely humorous. i just put a reminder in my calendar for Monday. i do love me some profane humor. 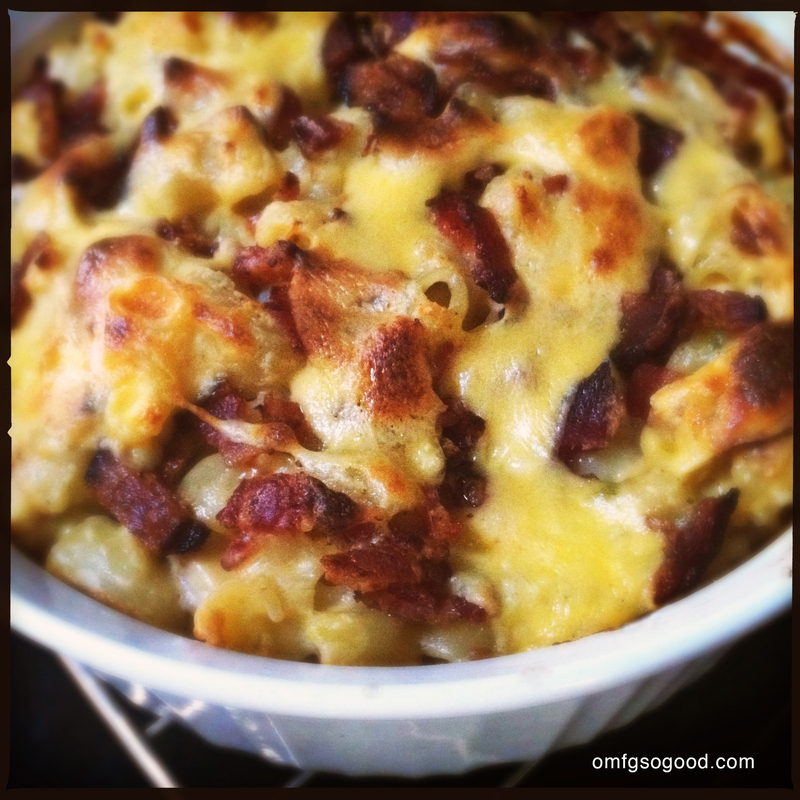 Hey there, posted a new Mac n’Cheese recipe yesterday. Check it out! Just seeing this now. I’ll be sharing this with my followers either tomorrow or later in the week. This looks absolutely delish and fun to make! Thanks for letting me use your material. Hit me up if you’ve ever got anything else you want me to share with my followers!